An upset stomach in dogs is not unusual. Nausea, vomiting, and abdominal pain seem to affect most puppies and dogs at some point in their lives. If we look at statistics, tummy troubles in dogs are one of the main reasons why dog owners take their dogs to the vet. According to Nationwide, a prominent provider of pet health insurance in the U.S., intestinal upset and upset stomach in dogs took fifth and sixth position in the ten top reasons dogs are taken to the vet. Gone are the days when it was thought that dogs do not feel pain in the same degree that humans do. A better understanding of dogs has revealed that dogs do experience pain just like humans (they may just be better at hiding it). The tendency of dogs to suppress signs of pain most likely stems from their evolutionary past; when in the wild, there was a survival advantage to hiding pain. Weakness in the wild could have easily turned dogs into easy targets. When it comes to abdominal pain, nausea, acid reflux, vomiting and diarrhea, most dogs will show signs of pain and discomfort, but sometimes they don't always match what we would expect. To make thing even more complicated, subtle signs often magically vanish at the vet's office due to the novel environment of the veterinary clinic and the adrenaline rush. Here are some signs of an upset stomach in dogs along with some less common ones. Of course, vomiting and diarrhea are some signs that weren't worthy of mentioning here because they're too obvious! 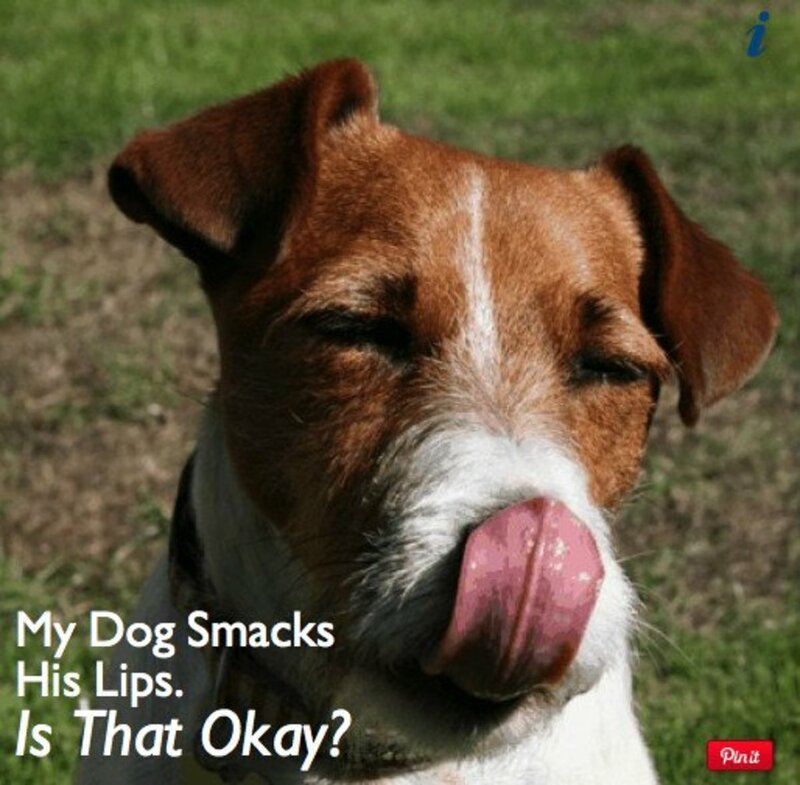 Lip smacking is a sign of upset stomach in dogs. Lip smacking is one of the less recognized signs of an upset stomach in dogs because it's often associated with other types of ailments. Why do dogs engage in lip smacking when they have an upset tummy? In order to better understand this behavior, it takes understanding what happens exactly when a dog's stomach is upset to the point of potentially vomiting. When nausea takes place in dogs (and this applies to humans too, by the way!) there is often an increase in salivation. This can seem quite odd considering that an increase in salivation is often seen when a dog or person is craving or strongly desiring food. Yet, nausea and vomiting seem to be the antithesis of food cravings. So why does it happen? The answer is: for a very good reason. The production of saliva is initiated by the salivary glands and increased saliva can be due to two different scenarios: either too much saliva is being produced or there is a decreased clearance of saliva (in other words, the saliva accumulates because it has nowhere to go). In the case of nausea, there is an overproduction of saliva. Because vomit is highly acidic in nature, it can cause potential harm to the dog's throat, mouth and teeth. An increase in salivation, therefore, helps reduce this damaging effect. On top of that, saliva is also weakly alkaline, which can help neutralize a bit the acid, explains Luis Villazon, a science writer. 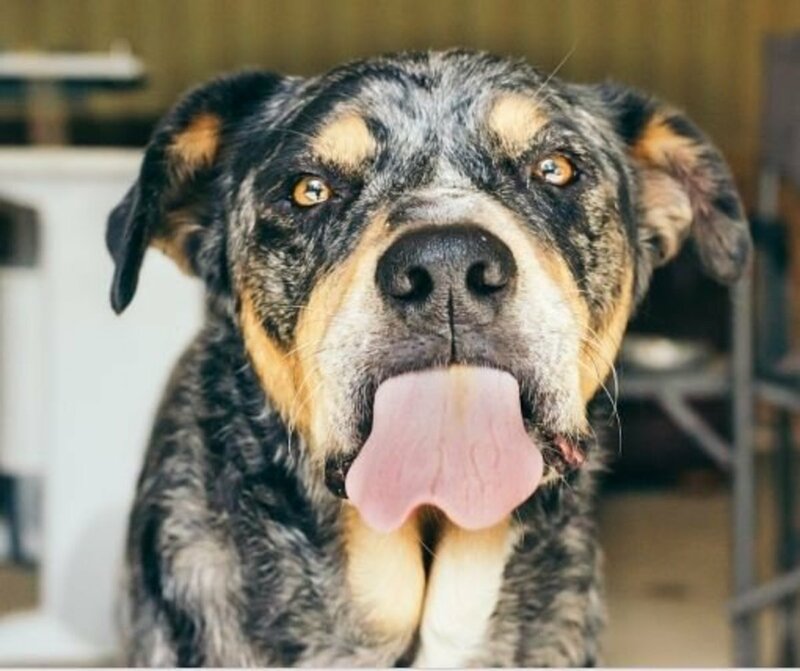 So lip licking and lip smacking is the dog's way of dealing with excess saliva, but sometimes, it's not enough, which leads to the second sign of an upset stomach in dogs. Drooling is a consequence of excess salivation in dogs. As in hyper-salivation, it takes place when too much saliva is being produced from the salivary glands. In the case of a dog with an upset stomach, drooling is again a result of the protective role saliva plays in protecting the dog's throat, mouth, and teeth from the harmful effects of the acidic vomit. Now, not all dogs will drool visibly when they are nauseous. It seems to vary from dog to dog and can be based on the dog's conformation or perhaps personal preferences. For instance, my male Rottweiler will drool significantly when he is nauseous; whereas, my female who is fastidiously clean, will readily lip smack and pass her tongue on her lips so to remove any trace of saliva. Dogs equipped with pendulous lips are notorious for drooling even when they are not nauseous. Examples of dogs with pendulous lips include bloodhounds, mastiffs, and great Danes. These dogs may drool buckets of saliva when they are sick to their stomachs. Gulping is another symptom of nausea in dogs. Just as with lip licking or lip smacking, gulping is another way to tackle excess saliva production. 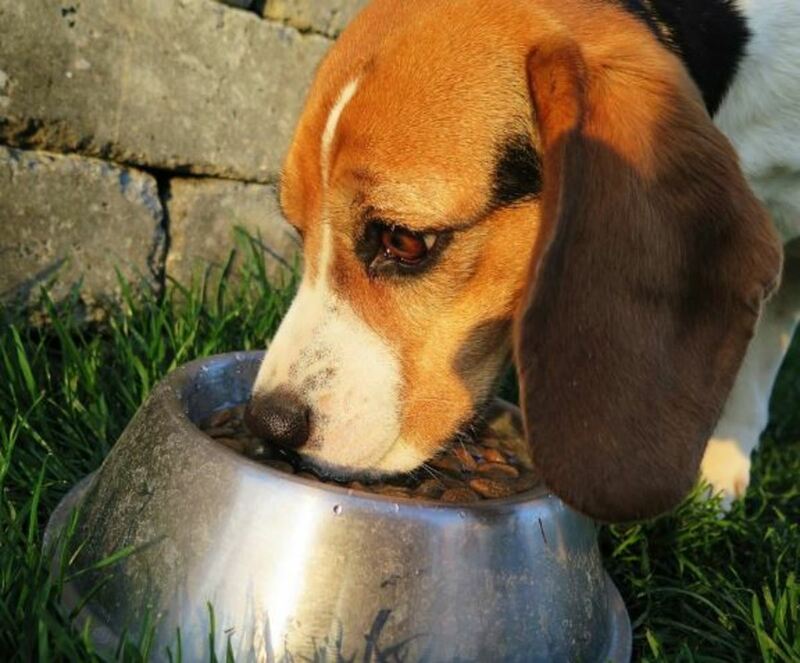 Gulping can also be seen in dogs suffering from gastroesophageal reflux. 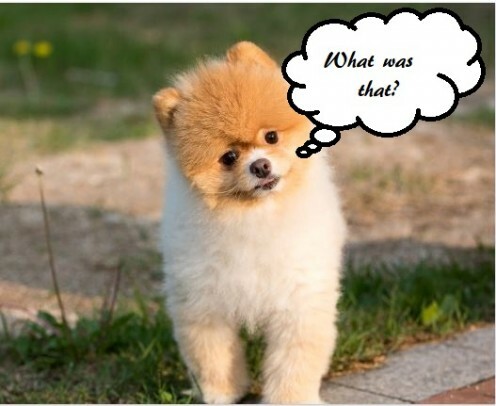 Affected dogs often act restless and have a panicky look on their faces. They may swallow and exhibit an esophageal spasm as reflux backs up with stomach acid. At times, this type of gulping may be seen as well in dogs who have ingested a foreign item that is stuck in the esophageal area. A common cause of this is a dog ingesting a foxtail. Gulping may also be seen in dogs who have sustained some sort of injury to their esophagus such as a scrape from ingesting something sharp or a burn from ingesting something too hot or something caustic. Do dogs eat grass to make themselves vomit, or do they vomit because they eat grass? This seems like a chicken-and-egg question, and it's often debated. 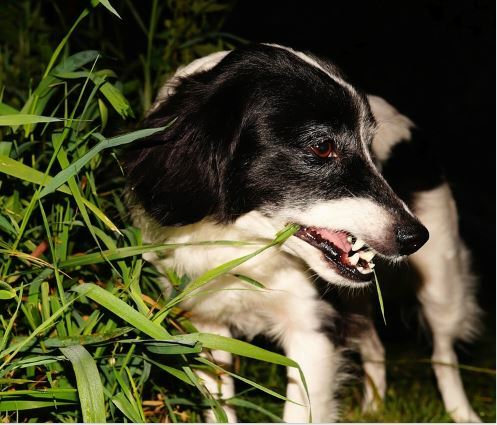 Some dog owners report that their dogs eat grass when they are sick, while others report that their dogs just love to eat grass and happen to vomit as a consequence. In my opinion, it's both. Many dogs I have seen eat grass just for the pleasure of it. These dogs seek tender grass to nibble on and enjoy. If they eat too much or have a sensitive tummy, they will sometimes, but not always, vomit as a side-effect. On the other hand, I have seen dogs start the whole lip smacking, drooling and gulping behavior and ask to go out. Once out, these dogs will frantically eat grass, often picking the roughest blades. If lucky, in the next few minutes they end up vomiting, but then they are shortly back to their normal, happy selves. If your dog is the type that goes in search of greens when his stomach is upset, make sure that he's kept away from chemically treated lawns and toxic plants! — Dr. Benjamin L. Hart, board-certified veterinary behaviorist. As seen above, in nature, when dogs feel sick to their stomach they are predisposed to seeking and ingesting grass, but what happens if they are inside a home and there is no grass available? 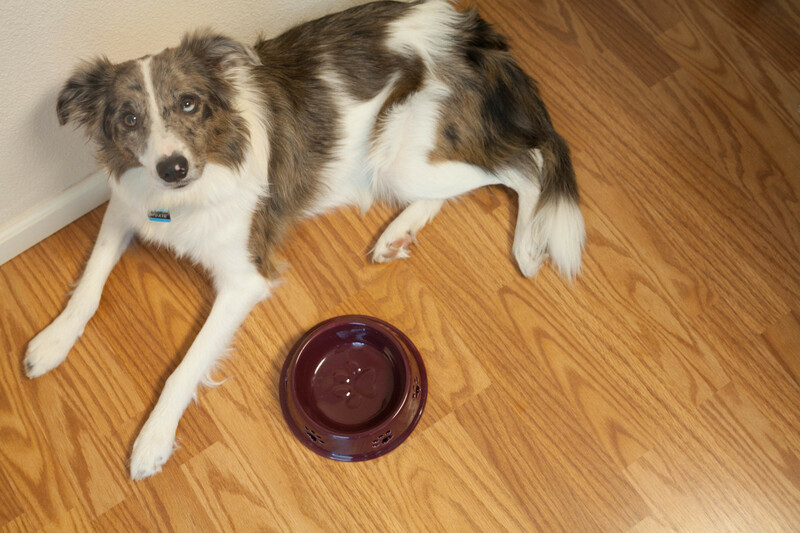 Affected dogs may start licking surfaces such as carpets, floors, glass, windows, and couches. Sometimes, affected dogs they may also lick their own paws or even the owner's legs, hands, or arms. This form of licking needs to be closely monitored, considering that if too many hairs and fibers are ingested, this may result in life-threatening dog intestinal blockages that may necessitate surgical intervention. Affected dogs should be screened for a variety of digestive disorders known for causing nausea or gastrointestinal discomfort such as liver disease, exocrine pancreatic insufficiency, inflammatory bowel disease and even certain types of cancer such as intestinal lymphosarcoma, explains veterinary behaviorist Dr. Valerie Tynes. There are several other potential causes for dogs licking surfaces, but when a vet suspects it to be a sign of nausea, it may not be a bad idea to do a trial of famotidine alone or in combination with metronidazole for 7 to 10 days stops just to see whether the licking behavior, subsides. 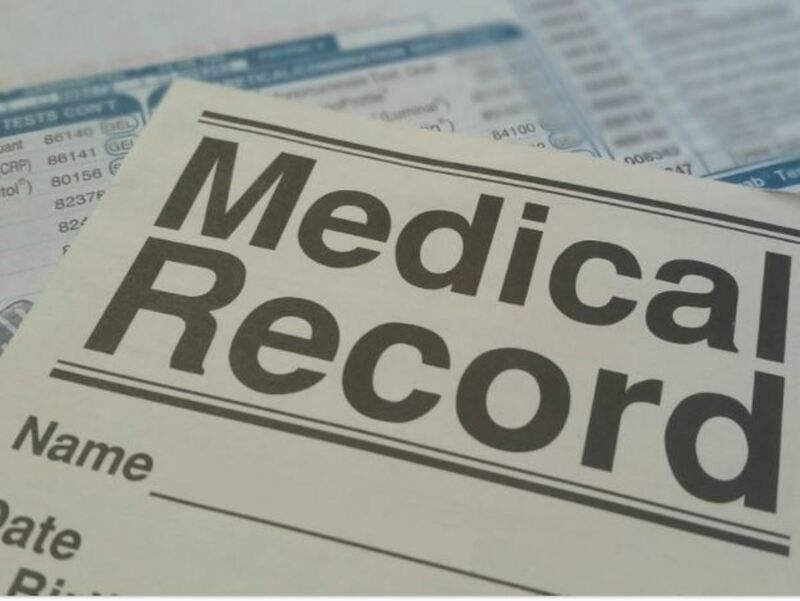 If so, then more extensive diagnostic tests can be carried out to determine the underlying cause of the gastrointestinal upset, further explains Dr. Tynes. 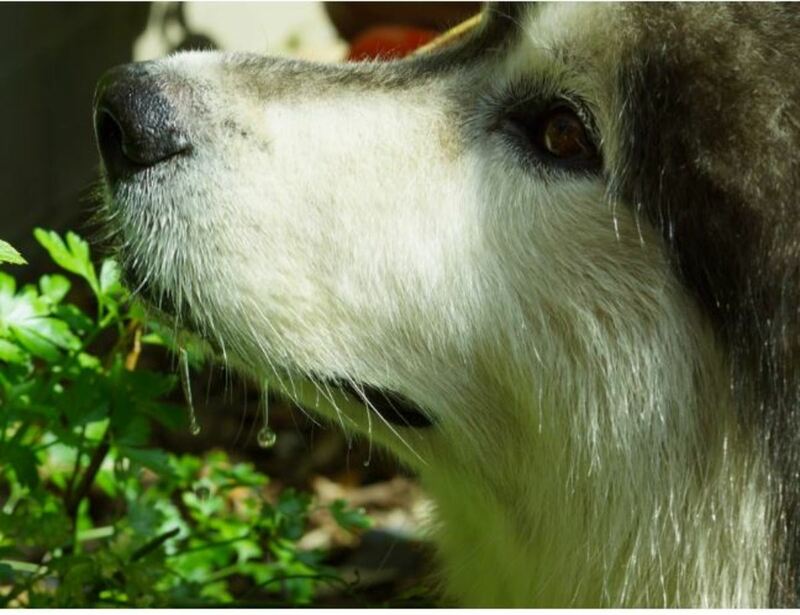 If your dog is turning his nose away from the food he has been eating for many years, don't just assume he is suddenly being picky or it's just part of getting old. Dogs tend to do what their instincts suggest them to do when their tummy is upset. The idea of eating food often becomes unappealing and this is because nature suggests that it's time to give that stomach some rest. Extra work digesting food at a delicate time like this may only make things worse, leading to potential vomiting and more time recovering. 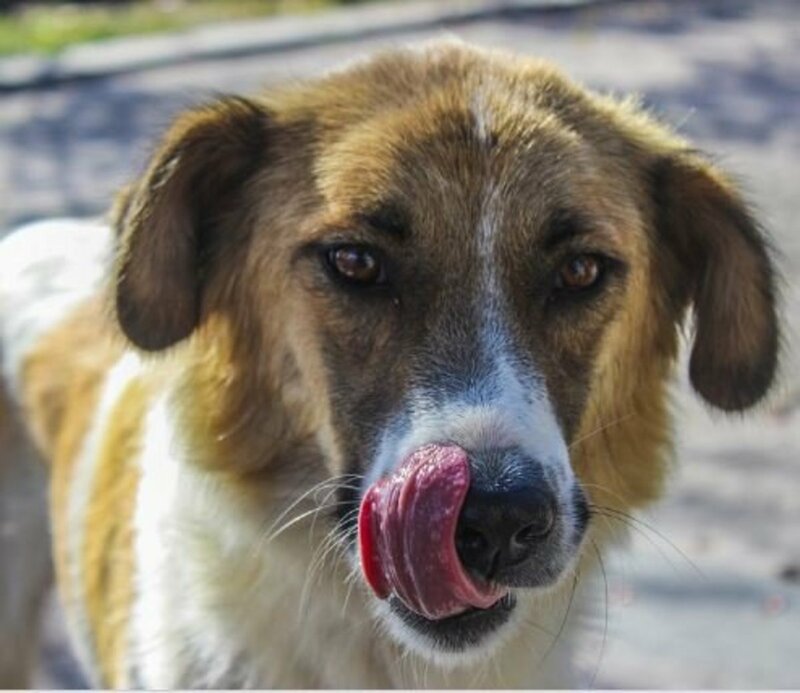 At a closer insight, that loss of appetite in dogs is triggered by hormones which are responsible for stimulating and suppressing a dog's hunger response. One particular hormone is ghrelin, which has been affectionately nicknamed as the "hunger hormone. " Produced by the dog's gastrointestinal tract, ghrelin promotes eating by activating several appetite stimulating neurons while inhibiting appetite suppressing neurons at the level of the hypothalamus, explains board-certified veterinarian Dr. Audrey Cook who has studied the dynamics behind the physiology of appetite regulation. Did you know? A new ghrelin receptor agonist has been now recently developed for veterinary use for the purposes of increasing appetite. It's known as capromorelin (Entyce) which is indicated for use in dogs in need of appetite stimulation. Other products known to help stimulate appetite include mirtazapine, megestrol acetate, prednisone, and prednisolone. Of course, any long-term loss of appetite should require veterinary investigation so to rule out underlying digestive or metabolic disorders. The medical term for stomach noises is borborygmus. Stomach sounds are often described as gurgling sounds by dog owners. Occasional sounds may be normal considering that sometimes the passage of food through the digestive track may produce some sounds. Increased or repetitive sounds though are often indicative of increased motility of the stomach and intestines and this is often due to indigestion. The indigestion may be due to a variety of causes such as eating something new, a visit to the trash can or eating something not digestible. Often, a dog's upset stomach sounds may be followed by a bout of diarrhea. Burping may be just a normal part of digestion. Dogs who eat very fast will likely ingest air and that will cause them to eructate (belch) the gas normally. However, excessive burping may point to a digestive problem. 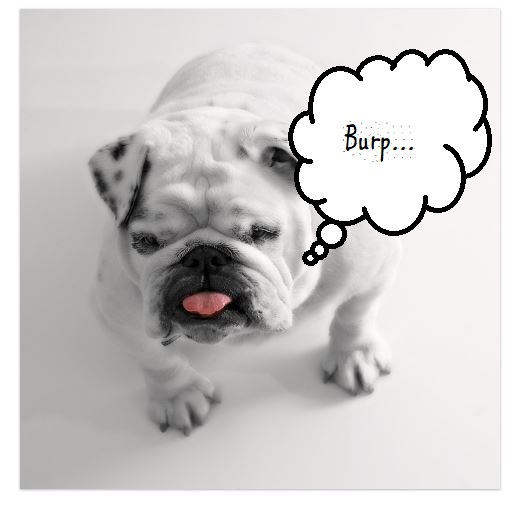 Affected dogs may have a bout of gastritis, where the stomach acid may cause some burping. Increased burping accompanied by vomiting may be suggestive of some sort of back pressure on the stomach or decreased motility which allows food to move back up rather than normally transiting through the gastrointestinal tract. This can happen as a result of waste building up as it may happen with organ failure, or the presence of a mass in the abdomen or some primary disease process such as inflammatory bowel disease, explains veterinarian Dr. Kara. Passing gas may be a normal occurrence. Certain dog breeds though may be more prone to this compared to others. The medical term for the passage of gas is flatulence and the gas emitted is referred to as flatus.Flatus is excessive formation of gases in the stomach or intestine. 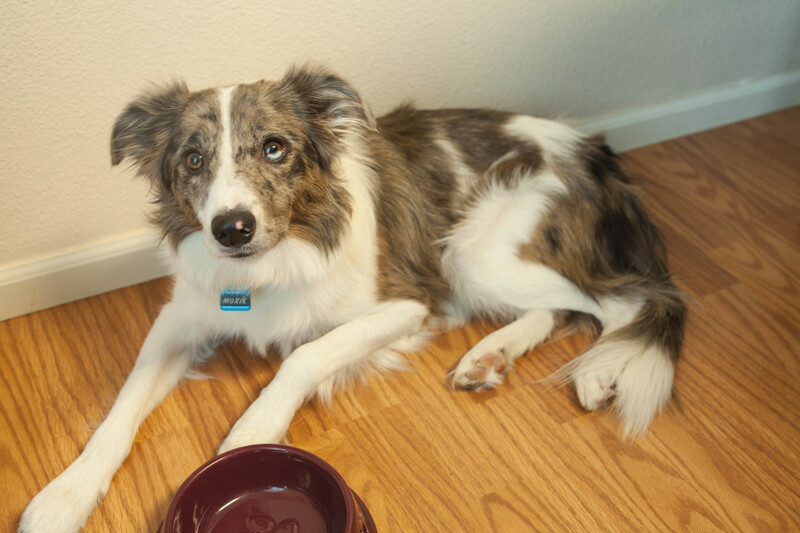 Flatus is a byproduct of bacterial fermentation, it can occur as a result of diet when dogs ingest highly fermentable fiber and indigestible carbohydrates, explains Claudia Kirk, a board-certified veterinarian specializing in internal medicine. Additionally, as mentioned certain dogs breeds may be predisposed. 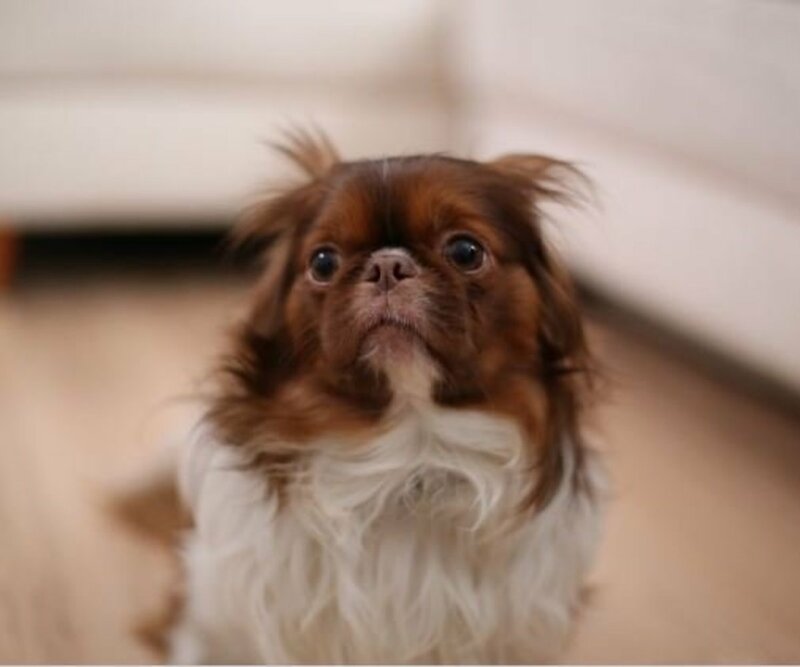 Predisposed dog breeds are dogs eith smudged faces (brachycephali) such as boxers, bulldogs, and Boston terriers. As much as flatulence may be natural, excess gas may be indicative of a problem. Excess gas may take place with dietary indiscretions or too abrupt diet changes. The presence of parasites or protozoans my too cause stomach noises and passage of gas. Excess flatulence may also point to some malabsorption issue which may be triggered by underlying digestive issues such as inflammatory bowel disease (IBD). Certain medical disorders will also increase the risk of flatulence. “When a patient has a GI disorder that involves malabsorption of nutrients in the intestine, those malabsorbed nutrients act as substrates for fermentation in the colon. There are several other signs which may pinpoint to an upset stomach in dogs. These signs may at times be suggestive of some serious disorders such as bloat which is often seen in deep-chested dogs. 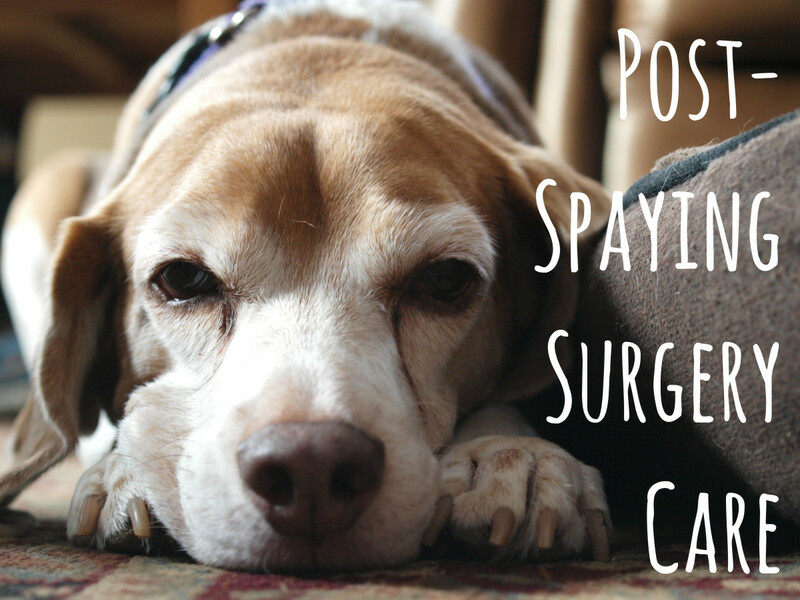 Seeing the vet is important to play it safe and for proper diagnosis and treatment. All these signs of an upset stomach in dogs are not pathognomonic (specifically indicative of a particular condition) of an upset stomach in dogs, and therefore may be due to other medical problems. For example, back pain/neck pain can often be confused with abdominal pain in dogs. 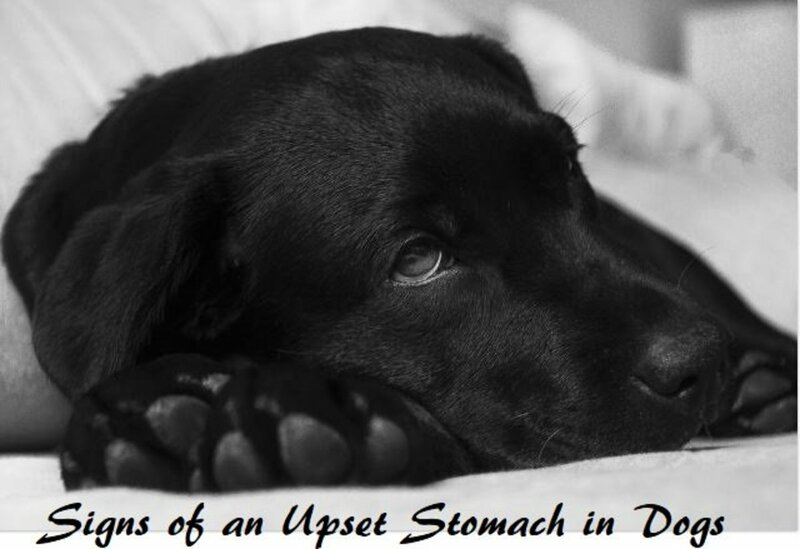 Some dogs may become restless when their tummy is upset. They may lie down and change positions frequently. 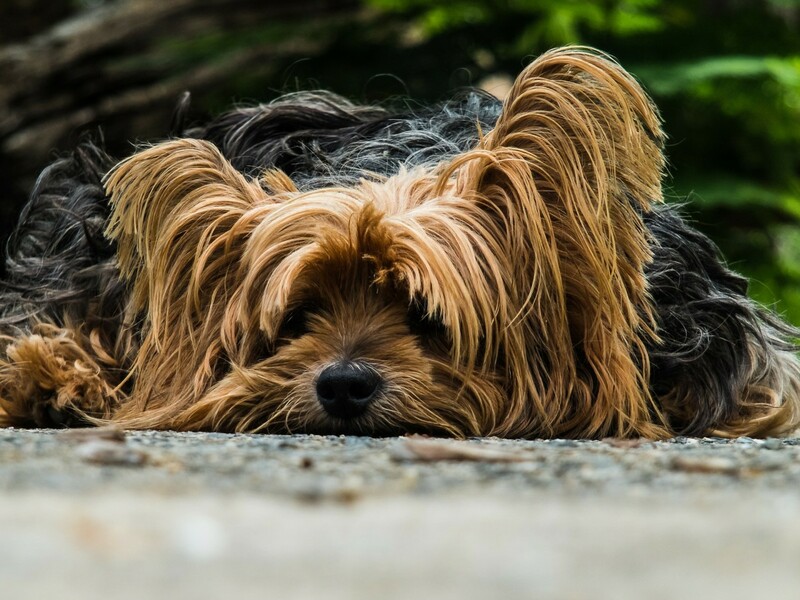 See your vet immediately if your dog appears to be in severe pain, restless and also retching (like they're trying to vomit but nothing is coming out), pacing, has abdominal distention as these can be signs of life-threatening bloat. Several dogs may start tensing up and tightening their belly muscles when touched because it hurts. Some dogs may also growl. Caution is needed when dogs are in pain as they may bite. Again, any signs of severe pain along with restlesness, unproductive vomiting, and distended abdomen warrants an emergency trip to the vet. Affected dogs may change the way their interact with their owners. Some dogs may become extra clingy, sticking by their owner's sides soliciting attention. Some dog owners report it's as if their dogs are "asking for help." Other dogs, on the other hand, may become distant and reclusive. Sleeping away from their owners, possibly in another room. Shaking can be seen in dogs with abdominal pain or nausea, but it can also be seen in dogs suffering from acute pain in the back or spine area. See your vet for proper diagnosis and treatment. The praying position is the name given for when dogs assume a stretched out position with the bottom in the air. It's similar to when dogs perform a "play bow" extending the front legs and chest down. Dogs assume this position in an attempt to relieve any pressure or pain in the abdomen. This can be caused by different medical conditions causing painful intestinal spasms such as pancreatitis (inflammation of the pancreas), ingestion of a foreign body etc. to name a few causes. While restlessness may be worrisome, so can reduced activity. A dog reluctant to move around, climb up stairs or jump on furniture may be suffering from abdominal discomfort or pain. So many a dog walking with a stiff gait. Sometimes temporary intestinal gas pain can do this, but persistent pain and a dog not eager to move around may be worrisome. Reduced activity with significative pain can be indicative of serious issues such as pancreatitis or a foreign body obstruction. If your dog is showing signs of an upset stomach, it's important to see the vet for proper diagnosis and treatment. 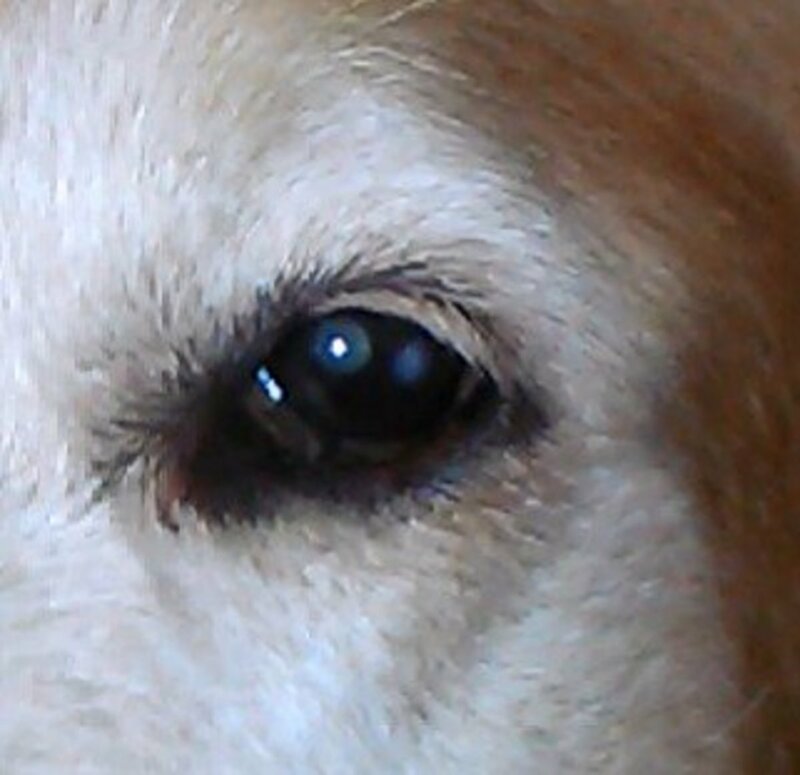 An upset stomach in dogs can be triggered by a variety of problems such as eating something toxic, abrupt dietary changes, eating something that is not digestible, an intestinal blockage, a stomach ulcer, inflammation of the pancreas and even organ problems such as gallbladder or liver disease. For mild upset stomach occurring as a result of eating table scraps or an abrupt diet change, you may fine it helpful using these vet-approved home remedies for a dog's upset stomach. However, when in doubt, your best bet is to always see the vet because certain underlying causes can be serious (think bloat!) and require quick veterinary attention. Thank you for sharing all of the information. It's good to know what to watch out for in a pet. It's horrifying to think that people once believed that dogs don't feel pain as we do. Thanks for the great information. It's really helpful for me as a dog owner. My dog loves eating grass and I wondered the very thing you mentioned here about the chicken or the egg. Hi Clive Williams, indeed, that's why I emphasized in the section listing some other signs that these signs are not pathognomonic of an upset stomach in dogs. Pretty Interesting. But some of these signs can be for various other reasons too.